The 2018 comprehensive director of the Port of Brownsville has been released and is available online and by hard copy. 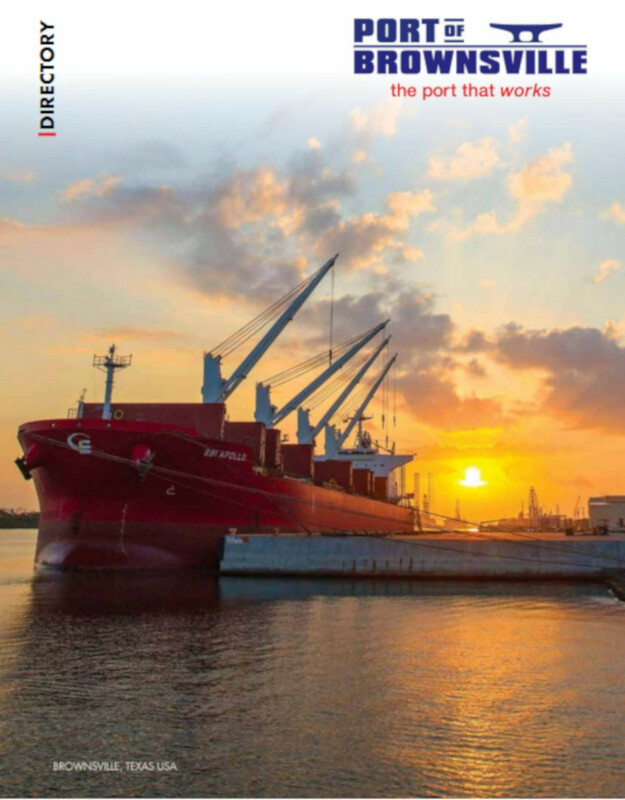 The marketing and communications tool is an annual guide featuring in-depth articles, facts and details about the port and related industries. The full color, 88-page publication serves as a guide for prospective clients looking to establish business opportunities in the region. The community may also peruse it to learn more about the port’s role as a vital economic engine of the Rio Grande Valley. The publication includes a detailed four-page map of the port’s facilities. This map highlighs tenants, docks, sheds and patios as well as other important assets. The business directory contains approximately 300 local, regional, state, national and international businesses listed in 63 different categories. The directory’s distribution includes industry-related companies and associations, area economic development corporations and chambers of commerce. In addition, the directory goes to other regional and state public and private organizations. Additionally, the directory will be available at local public libraries after Aug. 15. To request a copy of the Port of Brownsville Directory, call 956-831-4592 or email info@portofbrownsville.com.